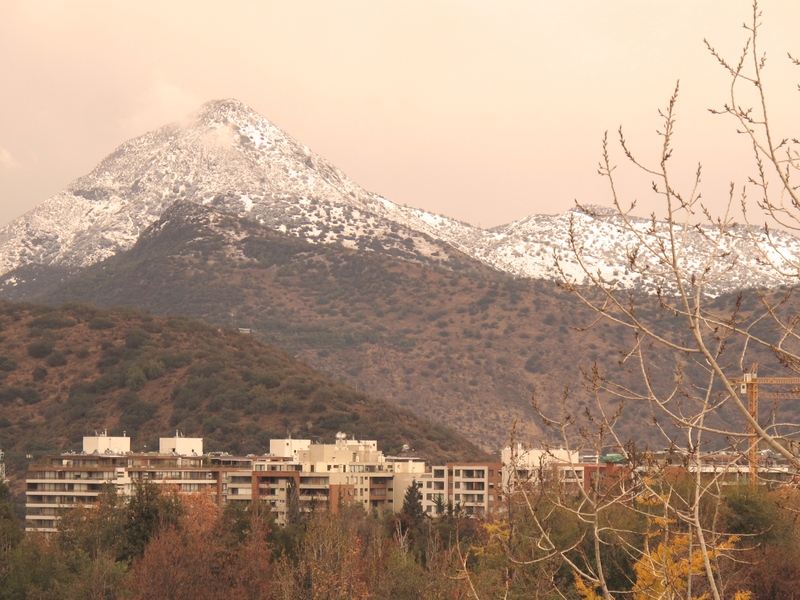 Home › Debate › Mackay Debate Team moves on to the Final round in UNAB tournament! Mackay Debate Team moves on to the Final round in UNAB tournament! 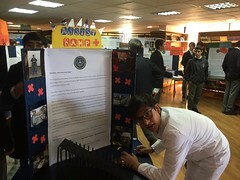 It was the first ¨real¨ wintery day of 2014 with snow covered mountains in Santiago and flooded streets in Viña del Mar, and the Mackay School Debate Team was on the road at 6.15 AM ready for another round in the 8th annual UNAB Interescolares English Debate. 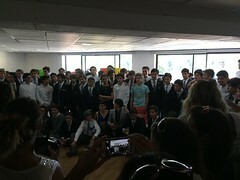 On this particular Saturday June 7th, Mackay had to face off against Colegio SEK de Las Condes twice in order to advance. 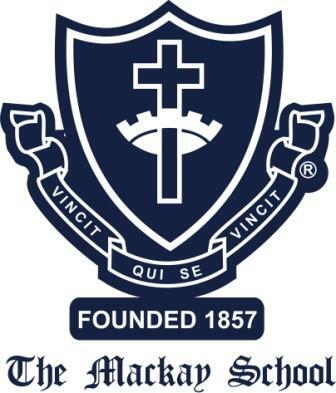 And in both debates, the Mackay School proved victorious. 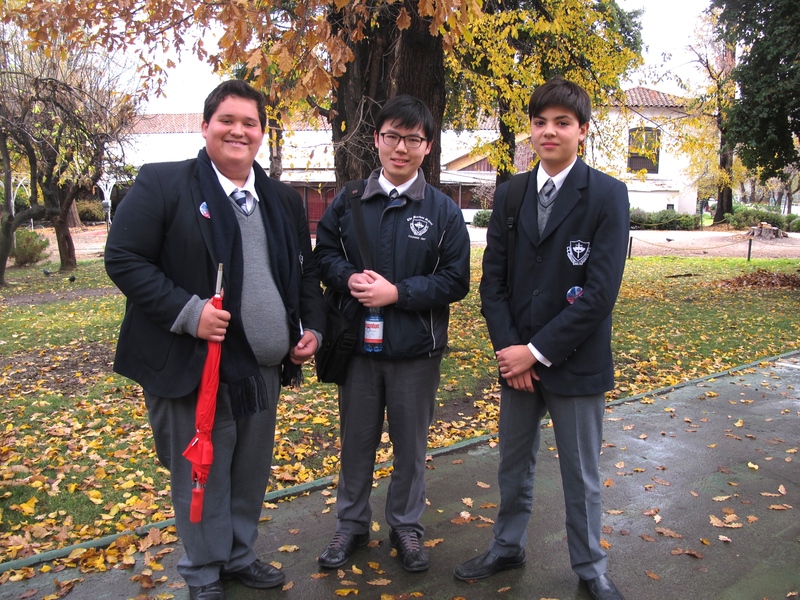 Students Mingi Park, Ignacio Caceres and Vicente Carmona proudly represented Mackay, and came together well as a team with a unified message in both debates, enabling them to take the two wins and push them into the finals round next Saturday. 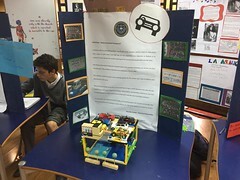 The motion in the first debate was This house believes the possession and use of firearms should be prohibited for people. 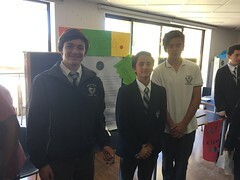 The Mackay team was side opposition, and won the debate by systematically taking the focus off of prohibition, which they deemed as unpractical, and rather focussed government strategies on an in depth gun registration program, effective control measures and education about proper care of firearms. 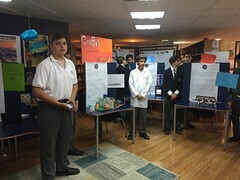 Using this pragmatic approach, they were able to prove the proposition team´s proposal faulty and inadequate, therefore effectively winning the debate. 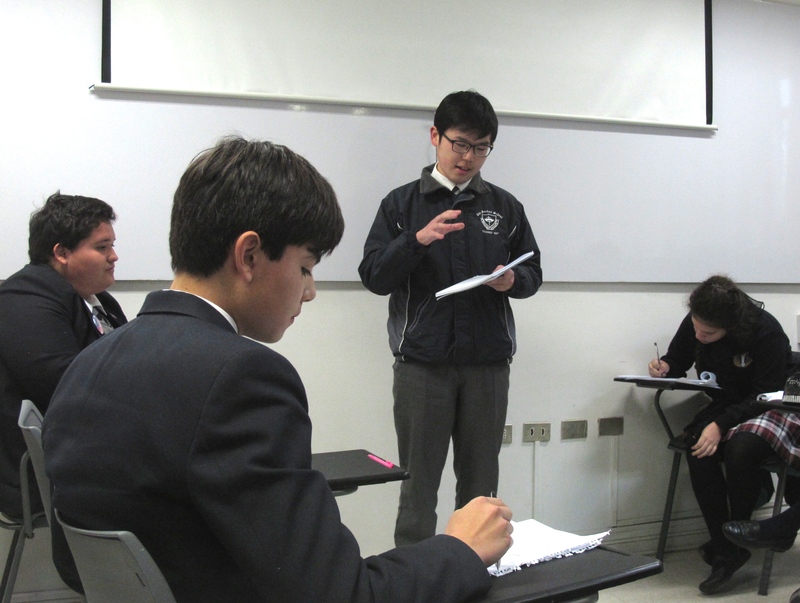 The second debate was meant to be a quarterfinal, where Mackay would go against the team from the prior round who lost with the most points awarded, and in this case it was SEK once again. The motion was This house believes the use of marijuana should be decriminalized. 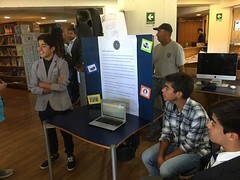 The debate turned out to be quite a mess, as the proposition team never clearly defined ¨decriminalization,¨ which they presented more like ¨legalization.¨ This left Mackay with the simple job of claiming that decriminalization in its true sense, leads to ambiguity in the both law enforcement and public perception of marijuana. Therefore, either keeping marijuana completely illegal or making it completely legal were both better options, as that would mean better and more clear controls, guidelines and management. 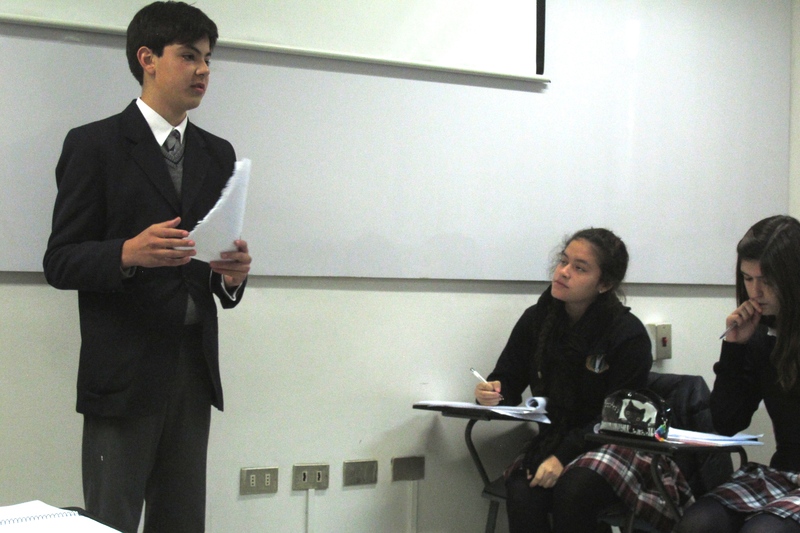 The debate ended up being problematic and somewhat parallel, which allowed Mackay to take the win, as it is after all, the proposition team´s job to clearly define the motion and their proposal. However, as in any form of competition, a win is a win. So the Mackay team is now anxiously preparing as they are set to go up against powerhouse Lincoln International Academy in the semi-final Saturday June 14th at 9AM. Meanwhile all of us in the English Department – and the whole school in general – are hoping for the best. Another trophy for the display shelf would definitely be great! Reblogged this on Upper Intermediate.